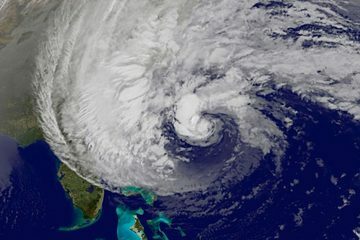 Hurricane Sandy, which has already killed more than 60 people in the Caribbean, could endanger 50 million as it hits the U.S. East Coast Monday, moves inland and collides with a winter storm. Quartz posted a list of live webcams that are registering the arrival of Sandy, from Virginia Beach to Massachusetts. It also mentions Instacane, a website that follows Hurricane Sandy through Instagram. Google put together a crisis map that shows the storm’s current location and the forecast track, among other useful information. NASA is tracking the storm through beautiful (yet scary) satellite images on its website and Flickr. The National Hurricane Center has a useful and extensive glossary of terms associated with hurricanes. The site also has a searchable database which allows you to search for previous hurricanes geographically. 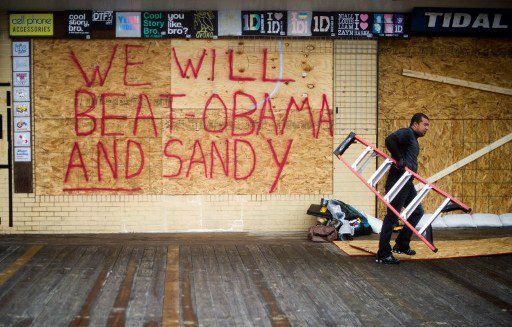 The New York Times and The Washington Post each compiled Twitter lists of the best and most up-to-date sources of Hurricane Sandy information. You can check out the Times list here and the Post list here. New York public radio station WNYC created embeddable maps of the hurricane’s impact, including a map of its path, storm and surge flood zones in two states and New York City evacuation zones. MIT MediaLab launched #HurricaneHackers, “a shared space for gathering information and organizing tech and social projects related to Hurricane Sandy.” You can view it here. If you are going to include user-generated photos in your story, make sure they are authentic. You can follow these useful tips to make sure you are not publishing doctored or inaccurate images. Finally, remember the AP Style entry related to hurricanes. Capitalize “hurricane” when it is part of a name and use “it” and “its” in pronoun references. Avoid the sexist puns. As the AP says: “Do not use the presence of a woman’s name as an excuse to attribute sexist images of women’s behavior to a storm.